We believe that rewarding someone with a quality trophy award or gift not only helps build their self-confidence and boost productivity, it also encourages them and their peers to strive harder knowing that their efforts will be appreciated. Creating the ultimate win-win solution! It doesn’t matter which industry your business or other organisation operates in: recognising and rewarding hard work and exceptional achievements are always something that it’s vital to be doing. But when it comes to letting your staff know that you appreciate your efforts, it’s always difficult to know exactly how best to go about it. Are You Looking for Trophy Awards for an Upcoming Ceremony? 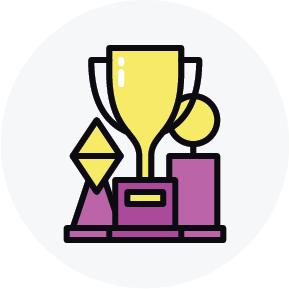 If you’re in the position of trying to determine how best to acknowledge outstanding achievements, you can be entirely sure that trophy rewards are an excellent option. Traditional but timeless and always extremely popular, trophy awards are a great way to let standout members of your team know that you’re aware of what they do and that you appreciate their work and their achievements. You can be sure that the recipients will be extremely proud of their accolade, and that their pride will develop into increased job satisfaction and loyalty – and, ultimately, continuing and improving levels of high performance. Plus, knowledge of the recognition and award will be bound to inspire the whole workforce to strive for excellence and will create a positive working atmosphere of honest work, high standards, and just rewards. 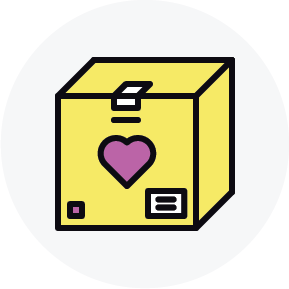 As a result, you can feel confident that the decision to recognise and thank your most outstanding members of staff will lead to benefits that extend far beyond their own initial happiness and gratitude, and to a better and more effective work environment. 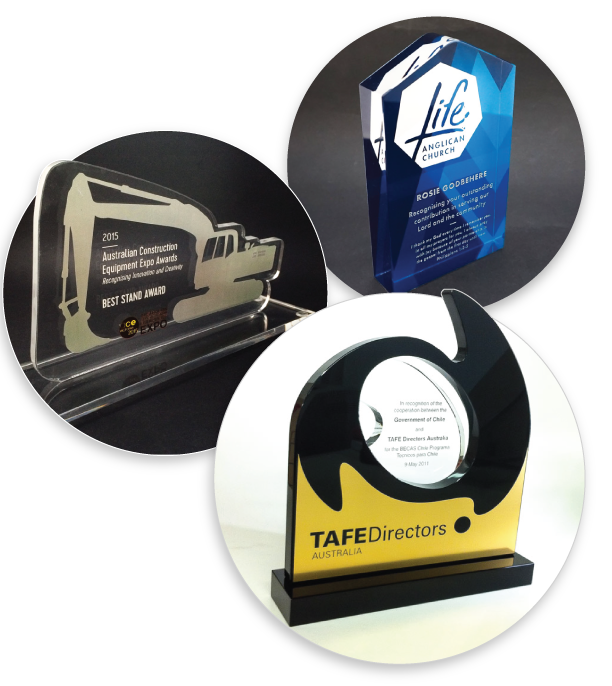 Here at Impact Glass Creations, we’ve built our excellent reputation in the industry on the back of many years of experience providing the very best custom trophy awards available on the Australian market. 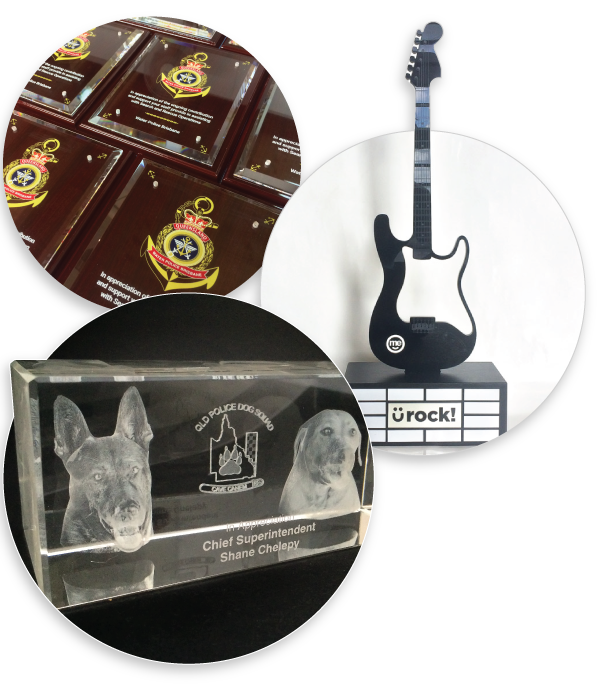 Our highly trained and experienced team of experts know exactly what it takes to create outstanding award trophies which look great and never fail to impress and inspire. We understand the power of using trophies to recognise staff excellence, but we also understand just how important it is to ensure that each and every member of staff you reward feels that their accolade is personal and meaningful – something which it can be difficult to achieve with standard, generic trophies bought from of the general market. 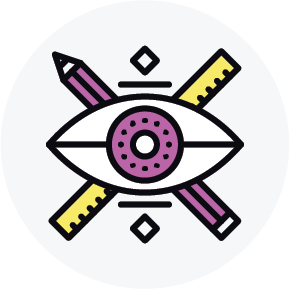 As a result, we’re committed to producing customised awards which can be adapted and personalised to ensure they’re relevant and meaningful for the particular individuals in your team that you’d like to recognise. From personalised messages to unique, bespoke shapes and designs, our award trophies are always made with the receiver in mind. 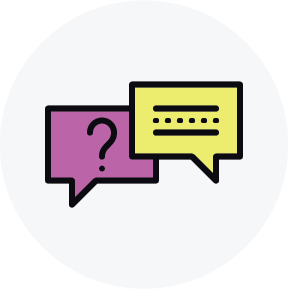 Questions About Our Trophy Awards? Contact Us Today! And, when you buy trophy awards online at Impact Glass Creations, you can be confident that the entire process of accessing the top-quality trophies your team deserves will be completely easy and stress-free. 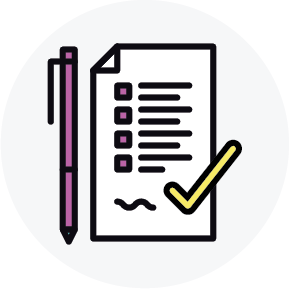 Simply browse our website for examples of the kinds of things we’ve worked on in the past and, when you’re ready to find out more, get in touch with a member of our friendly and professional team to discuss your options. 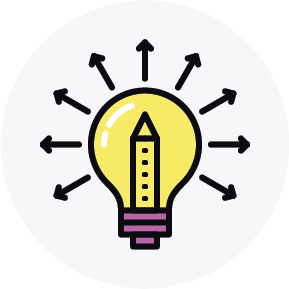 We’ll be able to work closely with you to understand exactly what it is that you’re looking for and provide creative solutions that you and your team will love and cherish. Just get in touch today to get started.